Professionals Play for Prize Purse of $65,000. Amateurs Play for Gross and Net Prizes. Join us for this Grand Golfing & Goslings Get Together. With more golf courses per square mile than any country in the world, it’s no wonder golfing is Bermuda’s national sport. (Though cricketers may argue). And, with our 210-year history here, it’s no wonder Goslings Dark ’n Stormy® is Bermuda’s National Drink. We invite you to join a select group and partake of both these national treasures for five outstanding days in one of the world’s most idyllic settings. Our five-day golfers’ dream event opens with a practice round (optional) on Sunday 27 November, followed by two days of tournament play at this tricky, heavily bunkered layout. Recently re-designed by noted California architect and member of the American Society of Golf Architects, Algie Pulley, Jr., this challenging course now features slender fairways of 419 Bermuda Grass approaching USGA style greens that are multi-tiered and slick to thoroughly test your short game. Not to mention the many panoramic views across Hamilton Harbour to thoroughly test your concentration. Belmont Hills is considered one of the most challenging and baffling 6,000 yard golf courses in the world. Days four and five move to the spectacular Port Royal course, host of the PGA Tour Grand Slam for several years and renowned for its famous 16th par three hole, which measures 235 yards from the tips – its cliff-edge tee – across a yawning gap to its promontory-perched green. A $15.9 million renovation in 2009 by Robert Rulewich helped perfect this Robert Trent Jones, Sr. course, lengthening it to 6,842 yards of mostly undulating terrain with wide fairways and expensive greens all bordered by dramatic oceanside cliffs. Yes, Port Royal also throws amazing views at you from a number of holes, just to see how well you can focus. Note: Port Royal is also offering a special $65 rate for amateurs (and cart fee only for pros) who’d like to jump start even a day early, on Saturday 26 November. Unforgettable Days of Golf deserve Memorable Nights of Fun. Besides doubling the courses you’ll play this year, we’re also doubling the evening entertainment you’ll enjoy. So don’t plan on getting a lot of rest at sundown. Welcome Party at Belmont Hills – immediately following the Black Seals versus the Gold Seals four-ball matches, join the welcome party in the clubhouse for heavy hors d’oeuvres and plenty of Dark ‘n Stormy cocktails! Evening Cocktail Cruise – enjoy an early evening harbour cruise with delicious cocktails and hors d’oeuvres. See the beautiful island of Bermuda from the water and then explore downtown Hamilton. The boat will pick-up at 6:00pm sharp from Albouy’s Point and drop-off at 7:30pm. Dark ‘n Stormy Beach Party – swing by for a fun-filled evening at Mickey’s on Elbow Beach. Join us for our Games Night, win prizes, savor sumptuous drinks and tasty food. Partying begins at 6:30pm to 8:30pm. Private Rum Tasting – Andrew Holmes will entertain and explain the history of rum and conduct a fun rum tasting. Bella Vista 6:00pm-7:30pm. Owner/Chef Livio Ferigo will prepare a special menu if anyone would like to dine at Bella Vista after the private rum tasting. Awards Ceremony – Awarding of all prizes following play at Bella Vista, 5:00pm-8:00pm. Celebratory cocktails and buffet dinner included. The field is limited to 100 participants. Send in your entry with payment by 16 September, 2016 and deduct $50.00 from your entry fee. Deadline for entries is 12 November on a first come, first served basis. Participants will not be confirmed until entry form and full payment is received. For special room rates and reservations, please contact Kamila Bean of Newstead Belmont Hills at Kamila.Bean@belmonthills.com or Kbean@belmonthills.com. 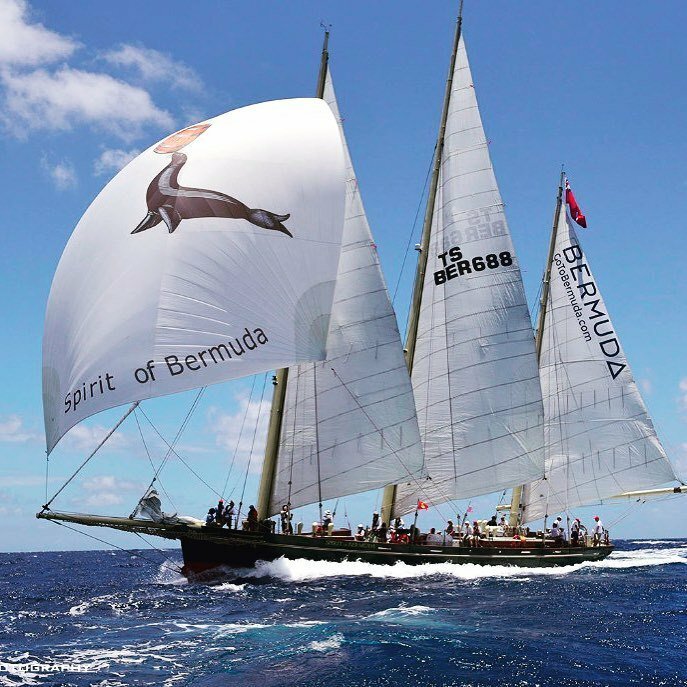 We look forward to seeing you all in Bermuda!